Jamie Ochsner was looking for a solution. How could she keep her team motivated? How could she combat the high turnover that’s typically associated with the restaurant industry? Her inspiration came from an unexpected place: BBQ. After packing up and moving to Fort Wayne, Ind. 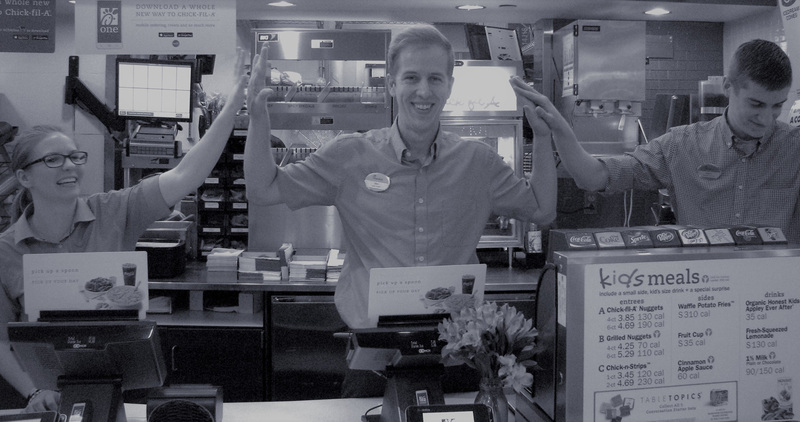 to become the Operator of the Chick-fil-A at Glenbrook Square, Ochsner remembered a local BBQ restaurant in her hometown of Houston, Texas that had a rewards program for employees who earned good grades. So, she decided to give it a try. She took to pen and paper and figured out a way to make this work for her staff: For her team members enrolled in high school or college and working at least 15 hours a week, she would give them a bonus for every A and B they made. After the semester was over, they would submit a copy of their grades, and Ochsner would do the math and reward them up to $250.